Since straight hair has become popular all over the world, several products were launched in the market to meet consumers’ needs. Alkaline relaxers were introduced to the market in the 40´s delivering permanent performance for Afro-ethnic hair. However, besides being difficult to rinse off, those solutions could cause hair breakage, scalp and skin burns due to the high pH. Formaldehyde found its place bringing benefits for curly and wavy hair. Due to the surprising shiny and natural-looking hair results, it soon became the main chemical process for straightening. Despite the benefits, professionals and customers exposed to this product developed serious problems and it was considered a risk to human health and forbidden in several countries. Once again, the market lacked an ingredient to deliver to consumers the straight hair they desired so much. Then arrived the era of acid straighteners, a new option to replace formaldehyde and without health risks. The only limitations are the reduced straightening effect and hair damage, which still occurs causing hair breakage. 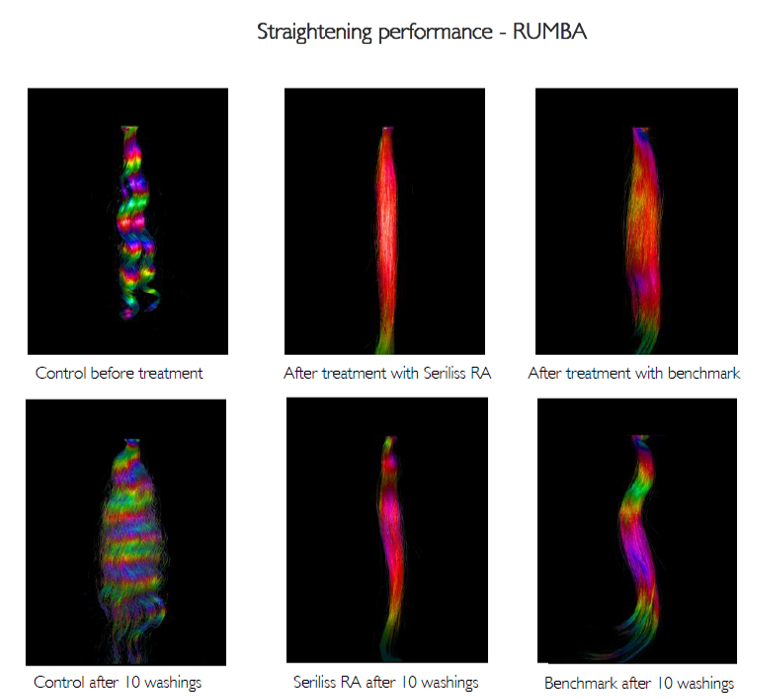 New tests using Raman technology to evaluate hair structure allowed Chemyunion to create a new solution to meet consumers´ needs. Seriliss RA straightens and protects hair simultaneously with superior and proven performance. This effect is possible due to a highly effective protein complex that promotes the preservation of cystine and permeation of sericin, a double mechanism of action responsible for increasing hair strength, also confirmed by an advanced image hair analysis. To learn more about this and other hair care active options, contact Chemyunion, a world-renowned company due to its technological expertise and market trends in the design, development and manufacturing of innovative active ingredients, conventional and functional excipients, and traditional and natural conservatives for health care and personal care, targeting consumers around the world through relevant global brands.Learn how easy it is to innovate with Chemyunion!